Luxury hotels, TV personalities, casinos, you name it. We achieve marketing goals for all. We help you communicate with your guests before, during and after their stay. Your fans are online. We'll help you connect with them and boost your popularity. No business is ever too small. We can create personalized campaigns just for your brand. Thin Pig Media (TPM) is a full service marketing agency with extensive expertise in the hospitality, gaming and entertainment industries, serving clients in four countries. We offer our clients a wide range of services, including traditional media, digital media, and social media marketing. With billions of people using social media networks, it is crucial for businesses to be where their current and potential customers can reach them. Simply stated, we'll make you look good. We brand your social media platforms (Facebook, Twitter, YouTube, etc.) with a cohesive look and feel that best aligns with the desired look and feel of your brand. 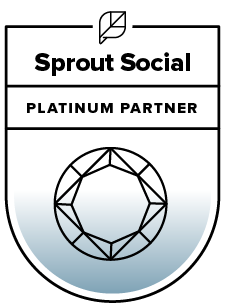 Don't have the time or in-house expertise to actively manage your social media community? Allow us to do the heavy-lifting. You will be assigned a Social Media Manager (SMM) who will work with you to ensure your social media networks are being actively managed. Whether you're looking to send a one-time-only email or a more frequent daily email, TPM can design, create, and manage entire Email Marketing campaigns for your company. At Thin Pig, we utilize a world-class digital advertising platform to manage campaigns on Facebook, LinkedIn, and every major website and ad network in existence. Reputation management is extremely important as travelers have evolved into savvy Web 2.0 users who thrive on information and make booking decisions based on reviews and interaction from the hotels they are researching. We take the time to learn about your business, industry, and competitors, in order to provide customized SEO and SEM strategies specifically designed to expand your business. We know how important it is to build a professional identity and maintain cohesive artwork for your brand. Our experienced designers provide a full suite of services from logos and branding to business cards and billboards. If you need something designed for your business there's a good chance we've done it before and we would be happy to help. Changes in rating systems, technology, and consumer habits necessitate an agency with expertise in creating campaign strategies which attract the right people to the right platforms. TPM is on top of the always-evolving marketing landscape. Let us manage your brand voice, and allow you to focus on the day-to-day operations of your business. We've been building and producing barns since 1987, adding new models in response to our customers' needs and vision. We bring those 25 years of experience to the table to help you find the perfect structure for your project. Jim Gaffigan is an American stand-up comedian, actor, writer, and producer. His humor largely revolves around fatherhood, observations, laziness, and food. This Nassau luxury resort features a casino, 20+ dining options, and 200000 square feet of event space. ocated on the shores of Lake Washington, Hyatt Regency Lake Washington at Seattle’s Southport perfectly combines the natural beauty of the Pacific Northwest with modern amenities.